Bruno Mars is a 14-time Grammy Award nominee who has sold over 50 million singles worldwide and has over 1 billion views on YouTube. 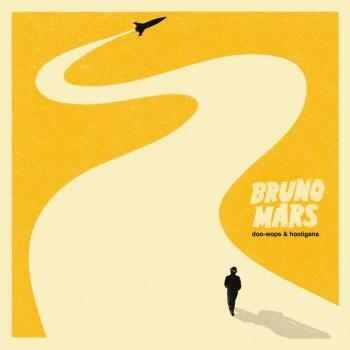 Bruno's debut album Doo-Wops & Hooligans was released in October 2010 and has been certified 40x Platinum worldwide. The album, which was named "the year's finest pop debut: 10 near-perfect songs," by Rolling Stone, included the 12x platinum blockbuster single "Just the Way You Are," which hit number 1 in multiple countries across the globe and won the critically-acclaimed artist a Grammy Award for "Best Male Pop Vocal Performance." Doo-Wops & Hooligans claimed two additional hit singles, the 10x platinum "Grenade" and 6x platinum "The Lazy Song." Mars has received an abundance of accolades to date, including ASCAP Song of the Year, a Billboard Music Award for Top Radio Song for “Just the Way You Are,” a BRIT Award for International Male Solo Artist, an American Music Award for Favorite Male Artist in Pop/Rock, two MTV European Music Awards including Best New Artist, and the People’s Choice Award for Favorite Male Artist. In 2011, Mars was named one of Time Magazine's 100 most influential people in the world.